Due to rising demand for healthcare professionals, many highly-ranked universities have begun to offer online healthcare administration degree programs and business programs with an emphasis in healthcare management. While the goals of these degree programs are often the same, the offerings, costs, and options can vary considerably. For this reason, we've compiled this ranking of accredited online healthcare administration degree programs with an eye toward quality programs at a range of price points and with varying features. All of the universities and colleges on this list are regionally accredited institutions of higher learning and degrees from them will carry the student further in their healthcare career. Executive Summary: Walden University was founded in 1970 as an institution catering to the needs of working adults. That mission extends to the present day and to its programs in healthcare management. 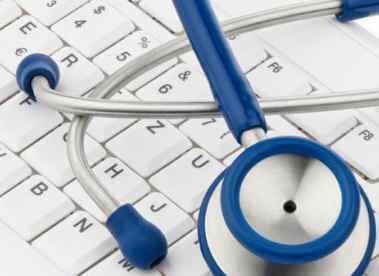 Tuition: Tuition for the accredited online healthcare management program is $300 per quarter credit hour. 181 total quarter credit hours are required to complete the degree. Unique Features: This program delves into trends in healthcare and prepares students for the ever-changing and high-demand field of healthcare management. Executive Summary: UMC's bachelor's in healthcare administration program teaches students the ins and outs of the business side of healthcare in order to prepare them as much as possible for a managerial position in the field. UMC's devotion is to training skilled healthcare managers because excellent managers are the key to delivering quality healthcare efficiently. Tuition: Tuition for UMC's accredited online healthcare administration degree programs is $430.77 per credit including the $45.00 per credit online fee. Unique Features: The University of Minnesota Crookston's online bachelor's degree programs are ranked 32nd in Student Engagement and Assessment and 40th in Student Services and Technology by U.S. News and World Report's online education honor roll. Executive Summary: Designed for those intending to work not only in hospitals but also government health programs; healthcare technology companies; and surgical facilities, this online healthcare management bachelors covers healthcare financial management, strategic management in healthcare, policy analysis, legal and ethical issues and more. Tuition: $470 per credit hour (civilians); $250 per credit hour (active military). Unique Features: Courses within the healthcare management core include the following, among others. Executive Summary: This degree completion program is designed for students seeking to take their healthcare career or education to the next level by earning a bachelor's in healthcare administration. Students completing this accredited online healthcare administration degree program will be qualified for managerial positions across the broad spectrum of the healthcare industry. Tuition: Tuition is $690.00 per credit; however, Drexel offers discounts to students that attended partner community colleges and healthcare professionals. Unique Features: Drexel University has been offering online programs longer than most traditional schools, an action consistent with Drexel's hallmark devotion to fully embracing cutting edge technology. Drexel is one of U.S. News and World Report's top 100 national universities and is ranked as #3 among up and coming national universities. Executive Summary: Northeastern University is one of the top private research institutions in the northeast. Students in the bachelor's in healthcare administration program study the intricacies of management in the healthcare industry, not just the management of personnel but also the legal and regulatory issues that are faced daily by healthcare professionals. Tuition: Tuition for the B.S. in Health Management program at NEU is $335.00 per credit, putting it among the cheapest accredited online healthcare administration degree options available. Unique Features: Northeastern University is ranked by U.S. News and World Report as #56 among national universities and #7 among up and coming schools. Students at NEU benefit from the school's global perspective and emphasis on researched based experiential learning. Executive Summary: Bellevue University isn't looking for students that want just any job. They are looking for students passionate about the healthcare industry that will be committed to the health, safety, and well being of patients being cared for on their watch. Bellevue recognizes that what our healthcare industry needs most is competent, caring professionals in management positions and the university seeks to train students to fill that need via its online healthcare administration degree program.. Tuition: Tuition for Bellevue's B.S. in Healthcare Management program is the same accredited online healthcare administration degree as it is in the traditional setting, $370.00 per credit. Unique Features: Bellevue University's online programs are highly rated by U.S. News and World Report, which ranks the university at #1 for Student Engagement and Assessment and #43 in Student Services and Technology among the other universities on the online education honor roll. Executive Summary: New England College is excited to be offering students the opportunity to complete a bachelor's in healthcare administration program online. The primary target of the program is healthcare professionals seeking to earn a BSHA in order to advance their healthcare career and education. The program is designed to train students for the healthcare industry as it develops, and many of the healthcare related courses are designed to have students studying contemporary issues in the healthcare field. Tuition: The tuition cost of undergraduate programs at NEC is $31,394.00 per year. Unique Features: New England College is ranked #81 in Student Engagement and Assessment and #165 in Student Services and Technology by U.S. News and World Report's online education honor roll. Executive Summary: The bachelor's in healthcare administration program at Hodges is designed to mold students into quality leaders for the healthcare industry whether they end up working in hospitals, private practices, insurance companies or any other aspect of the field. Tuition: Base tuition for Hodges University's undergraduate accredited online healthcare administration degree programs is $490.00 per credit hour. Unique Features: Hodges University is ranked #46 in Student Engagement and Assessment and #90 in Student Services and Technology, by U.S. News and World Report's online education honor roll. Executive Summary: Strayer University is a for-profit institution and was founded in 1890, and brings a long academic tradition to the online education table. The bachelor's in healthcare administration program at Strayer is designed to provide students with the necessary business acumen and healthcare specific training to develop knowledgeable and effective healthcare management professionals. Tuition: Strayer's tuition for accredited online healthcare administration degree programs is $1,700.00 per course. Unique Features: Strayer University caters primarily to adult students seeking to augment their current career path through the completion of an undergraduate degree. The average student age at Strayer is in the low 30s, making Strayer an attractive choice for working professionals wishing to earn their online healthcare administration degree among peers. Executive Summary: Liberty University is a large evangelical Christian university and was one of the first prominent universities of its kind to begin offering online programs. The focus of Liberty's BSBA-Healthcare Administration program is to develop in students a mastery of the necessary business skills for administrative healthcare positions while also instilling in them a solid foundation of ethics to help ground their execution of their duties in Christian ethical values. Tuition: Part Time undergraduate online tuition is $365.00 per credit; Full Time is $325.00 per credit. Unique Features: Liberty University is ranked #58 in Student Services and Technology by U.S. News and World Report and is also ranked #65 among universities in the southern region. Liberty University has students from all 50 states and 95 countries ensuring that students will have the opportunity to develop a global perspective. Accredited online healthcare administration classes at Liberty include Public & Community Health for Business, Drugs in Society, Wellness and Behavioral Change Theory for Business, Grantsmanship, and more. Executive Summary: Grand Canyon University is a private, evangelical Christian, for-profit, publicly traded university. Grand Canyon University has a proud heritage of traditional education backing its online programs. The bachelor's in healthcare administration program at GCU is designed to prepare students for a career in healthcare administration and to provide an opportunity for those already working in technical positions in the industry to advance their careers. Tuition: Tuition for the BSHA program at GCU is $465.00 per credit. Unique Features: GCU is ranked #99 in Student Engagement and Assessment, and #66 in Student Services and Technology by U.S. News and World Report's online education honor roll. This concludes our 2016 ranking of the top 10 online healthcare administration degree programs.